Tennis superstar Andre Agassi will admit in a new memoir that he used crystal meth as he built his career on the court, according to explosive excerpts from Agassi's book set to be released later this week. Agassi will discuss his experience with crystal meth in the book, which will be showcased in sneak-peek excerpts to be published in Sports Illustrated and People, a publisher behind the memoir told the New York Daily News Tuesday. "Those excerpts contain revelations about Andre's use of crystal meth when he was a tennis player," said Paul Bogaards, director of media relations at Random House affiliate Knopf. Sports Illustrated writer Richard Deitsch also claimed that the excerpts detailed Agassi's use of crystal meth, as Deitsch wrote on his Twitter page that Agassi's reveal was "off-the-charts." "FYI: There's an off-the-charts book excerpt from Andre Agassi in the forthcoming SI: He admits to taking crystal meth during his career," said the message, which was originally posted at 10:36 a.m. and later removed. 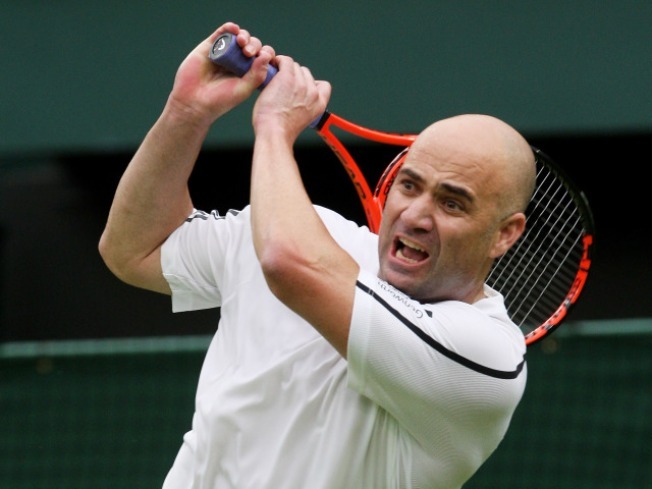 Agassi used the drug in 1997, according to the book. He reached the World No.1 ranking in 1995 but slumped in 1996 and 1997. He sank to World No. 141 in fall of 1997 and finished the year at No. 122. Agassi, considered one of America's greatest living tennis legends, retired in 2006 after two decades on the pro tennis circuit. During his career, he captured eight Grand Slams and raked in over $30 million in earnings. The 39-year-old is married to fellow tennis great Steffi Graf and has two children. Agassi's book was written with the help of Pulitzer Prize winner J.R. Moehringer. No release date has been set.